These girls definitely look like they are going to have lots of fun this Christmas! 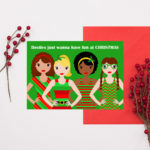 A fun and colourful Christmas card for girls of any age; young girls, older girls, teenagers or grown ups! 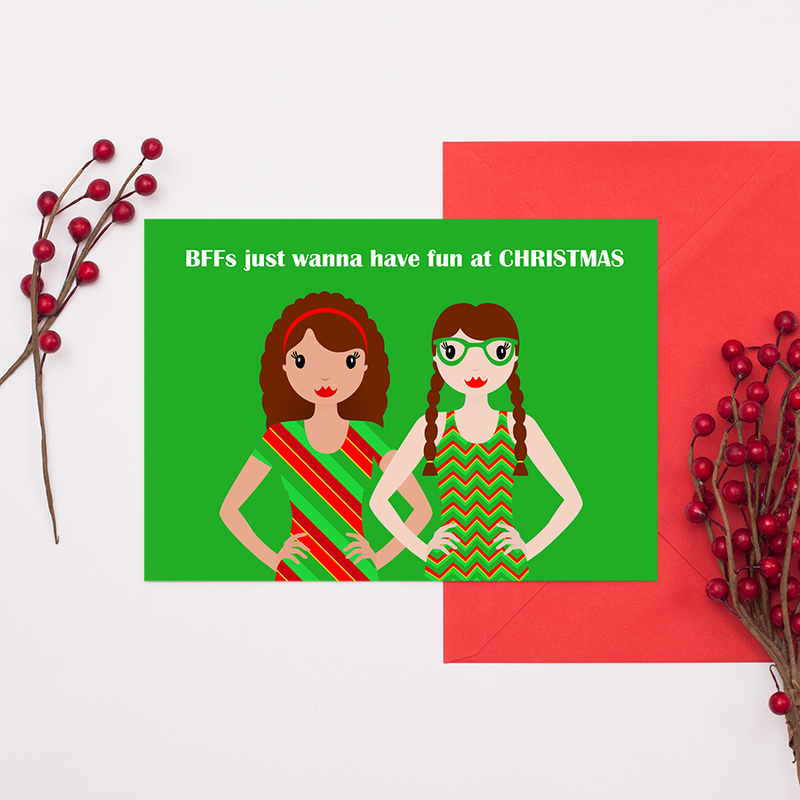 Also perfect for your friend, best friend, bestie or BFF. 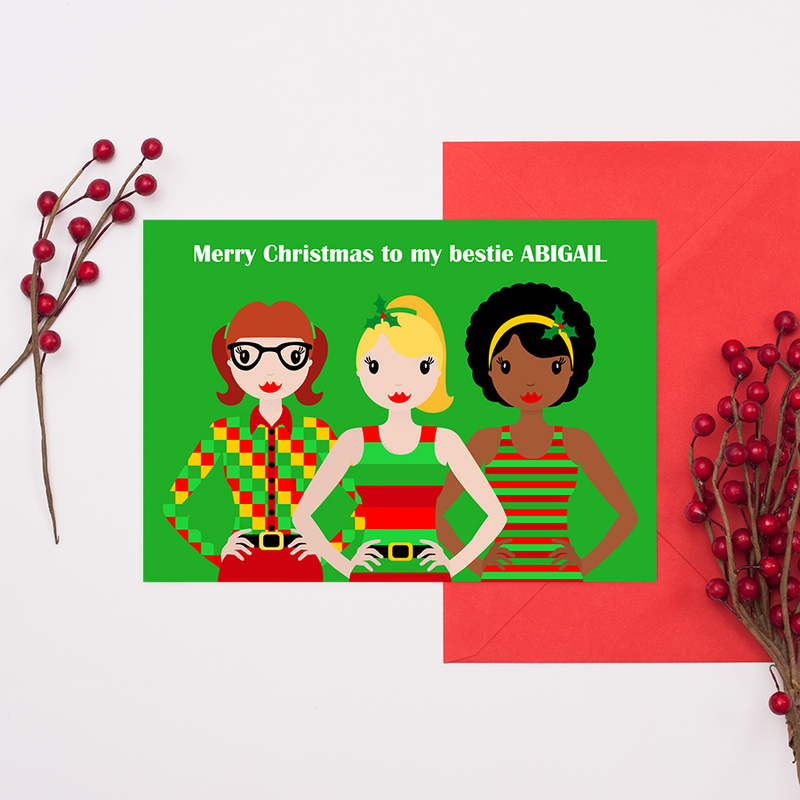 The A5 card (only) can be personalised, you can add any name at the end of the last four phrases only. On the A5 card you can also personalise the card by changing the number of girls (to one girl, two girls or four girls) and changing the girl characters. 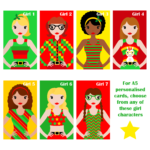 See the last image to see all of the girl characters who you can choose from. 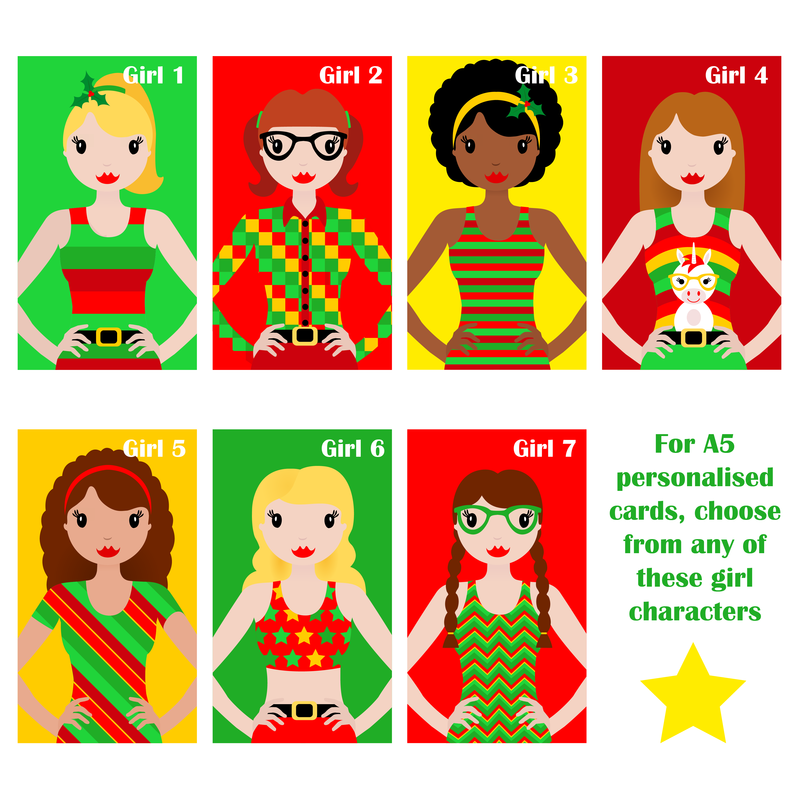 Please enter your choice of girls (numbered 1-7), if changing, in the ‘Special Notes & Requests’ box. Any questions, just contact me. Enter the name you would like on this card (only for the last four phrases). 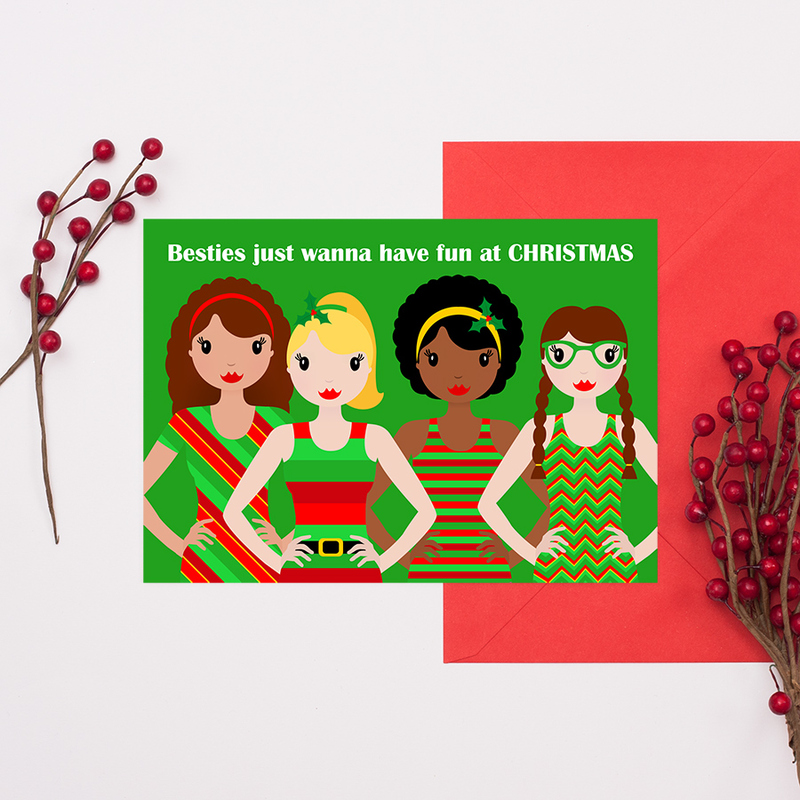 Be the first to review “Girls Just Wanna Have Fun Christmas Card” Click here to cancel reply.